The Chilean government has detected yet more positive HPR2 strains of ISA virus in cages in the Ballena 3 site operated by Salmones Cupquelan (subsidiary of New Brunswick-based Cooke Aquaculture) in the Region of Aysén in southern Chile. That site has been listed as positive to that virus strain since October 2011. The National Fisheries Service (Sernapesca) has ordered up to 1 million salmon in three cages at the large, industrial salmon farm slaughtered after the detection of a new positive sample to the HPR2 strain of ISA virus. Sernapesca explained that, according to previous experience in Chile, HPR2 is an ISA virus strain associated with low mortality rates in Atlantic salmon. Sernapesca has ordered -in accordance with the regulations of the Sanitary Programme of Control and Surveillance of ISA – that the company should mandatorily harvest those fish in positive cages under the terms and biosafety procedures set by the national standard. Cupquelan/Cooke farm sites – and up to twenty others – have been plagued with suspected ISA infections since reports first surfaced in January of 2011. 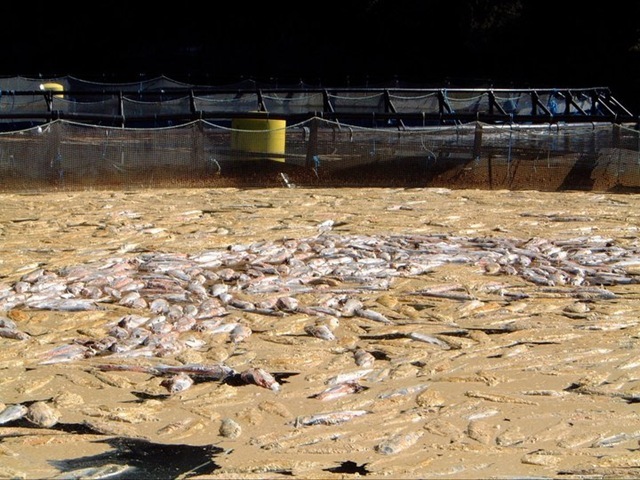 Chile’s aquaculture industry was decimated by a ISA epidemic in 2009/2009 and ISA outbreaks have been reported in Canada, Scotland and Norway . More recently, ISA infection has been suspected in fish tested from the Fraser River area of British Columbia, Canada.